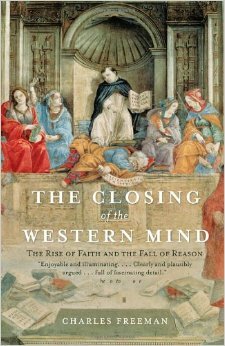 Charles Freeman’s dense, panoramic and controversial The Closing of the Western Mind: The Rise of Faith and the Fall of Reason is actually three books synthesized into a single volume. One characterizes the marked transition from the ancient pagan rational philosophical and scientific world – especially in the west – into an increasingly rigid doctrinaire faith-driven Christian domain. This will come as quite a surprise to those who believed that this was a much later development characteristic of the medieval period subsequent to the fall of Rome. The second serves essentially as a history of Christianity and Christian theology that catalogs a merciless evolution into a static creed that not only unequivocally rejected scientific and rational thought but embraced an unquestioning dogmatism that brooked neither dissent nor even inquiry, and frequently brutally punished those who did not satisfactorily conform as heretics, much like a brand of Stalinism with a crucifix. The third is Freeman’s exploration of his thesis as spelled out in the book’s full title that Christianity was indeed responsible for what he terms “the fall of reason:” the end of science and philosophy and rational thought that thrived in the Classical World, whether by design or unintended consequence. This is rather heady stuff, more than dizzying at times and by no means a light Saturday afternoon read. I myself read this book over several months along with multiple others, which allowed me more time to contemplate the contents. And there is much to contemplate! The book jacket credits Freeman with an “. . . encyclopedic knowledge of the ancient world,” which the text of this volume clearly reveals to be no idle boast. I have read Freeman before and he is always ambitious but this effort steps beyond ambition to the comprehensive and the magisterial and in this he mostly succeeds, although the complexity and the overwhelming wealth of detail will leave many readers behind in a swirl of ancient schools of philosophy, early Christian sects, asceticism, ecumenical councils, eschatology, emperors, bishops, martyrs, heretics and much more to make the heads of the uninitiated spin. In other words, don’t tread lightly as you open the covers of this work. At the outset it should be noted that certain readers will no doubt queue up at diametrically opposed fault lines in reaction to this book, with true believers of the Christian faith likely to be hostile to a theme that might be happily embraced by the unapologetically atheist anti-religious school of a Richard Dawkins devotee. Much of the rest of us probably don’t fall neatly into either camp of extremes, although I myself would rather have a beer with Dawkins than Mike Huckabee. Among historians, I suspect most non-evangelical Christians and most secularists will have few passions stirred, but will instead read and study Freeman with exactly the kind of healthy skepticism more characteristic of Classical pre-Christian times than that which came after. Full disclosure: I am a historian and I have studied both philosophy and religious studies to some depth. I was raised with a Christian faith that precipitously tumbled after a long summer devoted to reading much of the King James Version, Old and New Testaments; by the fall I tagged myself an “atheist.” Much later in life, I find that term far too arrogant, so I often describe myself – with tongue fully in cheek – as a “dogmatic skeptic.” Whatever your beliefs, faith must be set aside in any rational study of history. Edward Gibbon blamed Christianity for the fall of Rome. Freeman hardly goes so far, but he does unequivocally hold it responsible for the fall of reason. 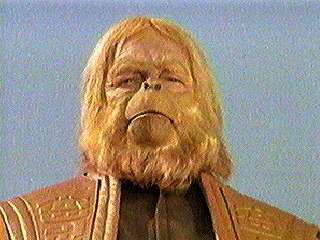 Gibbon’s thesis has largely been rebuffed by later historical analysis. It will be more difficult to dislodge Freeman. At first blush, I expected Freeman’s approach to be – like Gibbon’s in this regard – far too simplistic for such a complex topic, but as it turns out there is nothing even remotely simplistic about Freeman. Very slowly and methodically, Freeman walks us through how the most famous philosopher to embrace the supernatural – Plato – rewrites the logos of Greek reason to represent a higher perfection that can only be seen in rough reflection in this world (i.e. the perfect chair metaphor), which later Christians would rewrite yet again in a different form in the Holy Spirit. It is at once clear why and how Christianity was able to absorb and accept Plato as a noble pagan, while generally rejecting Aristotle the natural scientist. Christianity simply could not abide differing views, even between and especially among other Christian communities. This was true from the very birth of the faith, even in the legendary days of persecution and martyrdom, but its adoption as the official worship of Rome fueled its rage at dissent and likewise provided the tools to crush it. It was not as if there was a kind of conspiracy between the Roman state and the Christian creed to demand unquestioned obedience and orthodoxy, yet once the two became entangled it seemed impossible for any other course to prevail. This hardly abated when the central authority later weakened and powerful bishops enforced conformity instead. In pre-Christian times, the gods of others – especially the conquered – were often absorbed into the prevailing deities of the conqueror, a process known as religious syncretism. The exception was Jewish monotheism which developed in Hellenistic times out of the earlier Hebrew henotheism; still, Jews hardly expected or desired other peoples to worship Yahweh. In Classical times, there were dozens of competing schools of philosophy, as well as budding explorations of science and the natural world, of which Aristotle was perhaps the most prolific writer. Persecutions of opposing beliefs were rare. Everyone who has studied the era knows that Socrates was not really condemned by the Athenians for disrespecting the gods, but rather for unfortunate political connections in the aftermath of the disastrous Peloponnesian War. Christian martyrs in pagan Rome were less common than advertised, but when this occurred it was more about their refusal to honor the Emperor Cult in worship than about their faith. But when Christianity became preeminent, all of this was to change – forever. There is so much material in this book on so many interrelated topics that a solid review could easily run a dozen pages and still fall short. I will spare the reader that but instead focus on some key points. First of all, Freeman reminds us how little of Christianity really has much to do with Jesus at all, something most contemporary Christians and especially Roman Catholics are often shocked to discover. The gospels – with their often conflicting accounts of the life and death of Christ – were written long after his death and decidedly not by any of the original twelve apostles. The actual founder of Christianity was Paul, the erstwhile Saul of Tarsus, a Roman citizen who never met Christ in life but whose dramatic vision of the resurrected Jesus transformed him into an indefatigable proselytizer who constructed the foundation of Christianity as a universal religion rather than a Judaic cult. More than half of the twenty-seven books of the New Testament are attributed to Paul, who seems to have been a difficult man obsessed with guilt and a horror of human sexuality. As Christianity – with its emphasis on the afterlife rather than the world of the livin g – spread throughout the Roman Empire, its earlier theology struggled with its many contradictions, not the least of which was the character of Jesus: was he God or man? 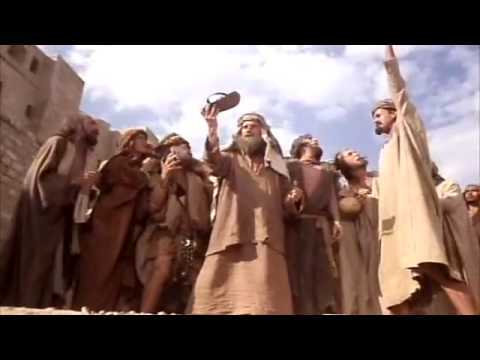 As such, there were schisms almost from the very start, much like that whimsically portrayed in the satiric Monty Python’s Life of Brian in the sect that formed around Brian’s lost shoe. But there was nothing funny about early Christian theological disputes, which often turned bloody. Once Christianity achieved dominance in the Empire, it became critical that orthodoxy be established and enforced at the point of the sword if necessary. The most famous example of this was the Council of Nicaea in 325 CE under the auspices of the Emperor Constantine, which essentially established the most fundamental orthodoxy of Christianity – that God, Jesus Christ and the Holy Spirit are manifestations of a single immutable “Trinity.” Not only is this notion nowhere to be found in scripture, but scripture decidedly contradicts it on more than one occasion with its portrayals of a very human Jesus struggling with doubt. No matter: this was deemed the correct interpretation and to reject it was heretical. And this tradition, that as Freeman notes “. . . castigates intellectuals and glories in paradox” long pre-dates Nicaea, has its roots in Paul and perhaps its best expression in Tertullian writing circa second/third century CE: “The Son of God died; it must needs be believed because it is absurd. He was buried and rose again; it is certain because it is impossible.” [p272]. As such, logic, science, and rational thought were deliberately crushed. Much more was to come as bishops, councils and great thinkers from Eusebius to Augustine created new manifestations of faith such as a pantheon of angels and demons, the cult of Mary, relics of martyrs, spurious miracles and new doctrines of theology, all of which brooked no room for dissent. In the late fourth century, the unquestionably brilliant Augustine became obsessed with the pessimistic notion of inescapable “original sin” that condemned much of mankind at birth, which also had little basis in scripture. Freeman argues that essentially “. . . Augustine’s rejection of reason and the wider philosophical tradition of the classical world had led him to a philosophical dead end.” [p290] And while Augustine was himself less sanguinary than most, from the very dawn of Christianity’s evolution it was a metaphorical “my way or the highway,” and that highway was often littered with the bloodied corpses of dissenters from the “true faith” — as current doctrine had defined it. It was less that rigid orthodoxy and a rejection of reason was a byproduct of a later medieval corruption of a more pure early church, but that these flaws were present at the creation, so to speak. Many will no doubt be as surprised as I was to learn that the vicious and often merciless persecution of Jews by Christians dates back to the very early days and was far more institutional than random. I would have liked to see Freeman devote more time to the Roman “Cult of the Emperor” and how that enabled a transition to a state religion wrapped around Christ. I would also have been interested in an exploration of how Hebrew monotheism was turned on its head in its Christian offshoot to not only invite universal participation but to demand universal loyalty. But is there actually room to explore more ideas and concepts in this thick tome? Freeman will no doubt also be taken to task by some readers for failing to identify or focus upon the positive contributions that Christianity may have offered to Western Civilization, but I suspect that will be more of an issue with believers than secularists. Regardless of your perspective, I would recommend this book as very well-researched, well-written and highly thought-provocative. No, it isn’t. Which is one of the ways he gets away with his nonsense thesis that reason somehow died out until Aquinas. This is utter nonsense, as anyone who has even the vaguest grasp of medieval scholarship would know. Where is Boethius in his story? Nowhere. Where is the “logica vetus” that was enshrined at the heart of all early medieval study? Nowhere. Where the hell is the Twelfth Century Renaissance? Nowhere. He creates a cartoon version of history that simply ignores all the things that show his thesis is garbage. Which is nonsense. There was no “fall of reason”, but you wouldn’t know that because Freeman merrily quotes the guys who lost the debate about whether the wisdom of the pagans should be used and accepted (like Tertullian) and avoids the guys who *won* that debate, enshrining reason at the heart of learning for the whole medieval period (like Clement of Alexandria, Justin Martyr, John Damascene, Origen, Gregory Nazianzen, Basil of Caesarea and, despite Freeman’s distortions, Augustine). So he only gives the evidence that seems to support his tendentious thesis and quietly ignores all the evidence that shows he’s actually wrong. How the hell a period that enshrined logic as the first discipline you had to master before you could go on to any further study was one that saw “the death of reason” is a mystery. But Freeman manages to create this fictional pseudo history by wilfully distorting the picture and by quietly ignoring anything that doesn’t fit his carefully constructed picture. There was a decline in learning in the West, but it began long *before* Christianity came to power – by the later second century at least. Freeman neatly tip-toes around that as well because, again, it doesn’t fit his distorted pseudo history. This whole book is a deliberately ideological concoction pretending to be sober history. Which is why popular reviewers loved it and scholarly ones considered it trash. And that includes some of the very best scholars in the field, such as the late David C. Lindberg, who dismissed Freeman as a biased hack. Let the unscholarly reader beware – this book is not to be trusted. Tim, I respectfully disagree with you but thank you for posting. You “disagree” with me? Sorry, these are matters of fact, not mere opinion. If there was a “fall of reason”, how on earth did logic become the foundation of all medieval scholarship? If ancient learning was rejected, as Freeman claims, why on earth do we find it enshrined at the heart of medieval learning, with its writers held up as almost unquestioned authorities? If learning was stopped by Christianity, why did it demonstrably falter at least 200 years *before* Christianity came to power? These are simple facts, ones that anyone with even an undergraduate knowledge of the relevant topics would know but which Freeman omits, obscures or distorts. So sorry, but you don’t get to have your own facts. The facts are that Freeman’s book is a distorted caricature of history. Dude, you seem to have an ax to grind with Freeman. I get it. You love the medieval period. OK, fine. I read your review. I have entertained your views. Your points are taken & I have shared them with my readers. I have no interest in arguing with you. If you want to argue your points please take it elsewhere. Stan- thank you so much for your thoughtful review of my book. It is encouraging that so long after its first publication it is still arousing so much debate- I have had enormous enjoyment from discussing it with all and sundry over the years. You are right to highlight the complexity of the issues- as you will see from the footnotes it took a lot of digging around in a wide variety of sources to get anywhere near a coherent explanation of what happens in these crucial centuries. Tim is in a tiny minority who dismiss the book entirely ( at the same time becoming rather obsessive about it- always first to object a positive review while confusing me with a Charles Freeman unknown to me who is apparently a retired high-school headmaster see ‘Charles Freeman Yale University Press’ for the real thing) . He appears to think the book is about the medieval period and not the fourth to sixth centuries but I have no control over how reviewers misinterpret my work. Thank you again for taking so much trouble to grapple with the issues. From the Greek Peloponnese where I am leading a study group! Charles Freeman — I am honored that you stopped by to comment! I am certain that the many complex issues raised in your fascinating work — far more numerous even than those I touched upon in my review — will provoke much contemplation in the years to come, and that to my mind is the true mark of success for a fine work of history. Today I read your intriguing article on the “Shroud of Turin” in May 2015 “Church Times” p.19-20 http://www.hymnsampublications.co.uk/emags/CT/7938SEDRF/index.html which offers an interesting twist to the controversy — I would highly recommend it to those who follow this blog. I look forward to reading much more of you going forward.